We are at a crossroads and need to face the future, do we carry on with our addiction to fossil fuels, committing ourselves to devastating climate change. Or do we transition rapidly to a renewable future. 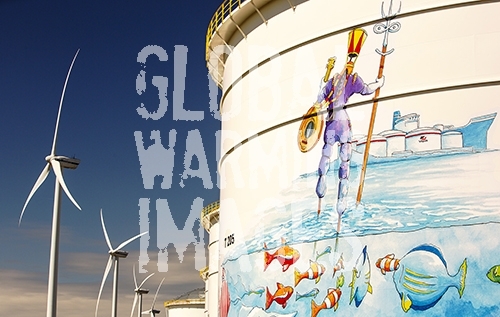 An oil terminal in Amsterdam, Netherlands, with wind turbines generating renewable energy.